Raising a CHILD ACTOR? 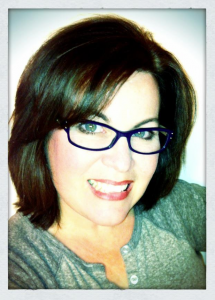 Join Editor Tracy Bobbitt HOLLYWOOD MOM BLOG! 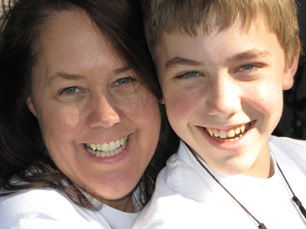 HOLLYWOOD MOM BLOG (HMB) helps the moms and dads of professional child actors navigate parenting their rising stars amidst the unique landscape of the entertainment industry. HMB’s mission is to be a positive community, forum, news outlet and trusted information resource for all matters related to the lives of child actors. HMB posts Free Casting notices, Celebrity interviews, industry resources, educational resources, industry discounts, red carpet events & more! Hollywood Mom Blog is the brainchild of Tracy Bobbitt, the mother of an aspiring child actress, who has her finger firmly on the pulse of the entertainment industry as it relates to child actors, their parents and our hectic lives in the glamor capital of the USA. With a background in writing, film production, design, marketing and as spouse of a multi-award-winning Film Maker, Tracy is more than qualified to helm the tour on your bumpy ride through La La Land. Even if you don’t live in Hollywood, when you find yourself supporting your child’s passion to perform professionally, YOU are a HOLLYWOOD MOM. Join Hollywood Moms world-wide as we help our Rising Stars Soar! HMB Editor Tracy Bobbitt, & daughter Jordan, “The persistent kid who made me a Hollywood Mom! Over the years, working in film production and while working for Sandra Bullock at her production company Fortis, I’ve met many actors and a handful I even consider friends. But I was still surprised when my daughter declared she wanted to work in the industry. Accompanying her on auditions, and to acting, dancing and voice classes, working with agents and managers, hanging on set as a “mom” instead of a crew member, all added up to a journey I felt was worth documenting – which is the cliff notes version of how HollywoodMomBlog.com came to be in 2009. I have also served for the past decade on the Advisory Board for The Actors Fund’s “Looking Ahead” program which helps professional young performers and their families thrive amid the unique challenges of working in the entertainment industry. I’m honored to serve on The Looking Ahead Advisory Board alongside industry notables Corbin Bleu, Sharon Lieblein, Cindy Osbrink, Judy Taylor, Olivia Aaron, Christopher M. Allport , Scott Appel, Ashley Argota , Cynthia Bain , Adam Bennett , Elizabeth Boykewich, Cheryl Diamond , Ilene Graff , Darby Hinton , James Blakely , Karla Huff , Heather Marcus , Jacky Olitsky , Lisa Rapport, Ph.D , Michael Rosenfeld , Josh Rudoy, Fatna Sallak-Williams, Carol Lynn Sher and Angela Williams. Additionally, I run the Hollywood Mom Blog facebook page and several private facebook groups. I couldn’t do this without the tireless efforts of fabulous Hollywood Moms and my Co-Administrators: Lisa Pitts, D’Ann Jimenez, Elizabeth Paddock, Valerie Sullivan and Chris Thompson. 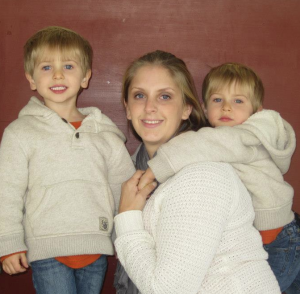 Hollywood Mom Elizabeth Paddock is a clinical social worker turned stay-at-home mom to identical twin boys, child actors Caleb and Matthew. She writes part for the medical television show “Ask. Dr. Nandi,” and home school her first grade sons. The boys have done several print jobs for “Little Tikes” and “Step 2,” have a national commercial running for New York Life, and filmed Five Year Engagement and completed photo double work for How To Catch A Monster. Elizabeth is chronicling her Hollywood adventures on HMB’s “Momagers in the Trenches,” column. 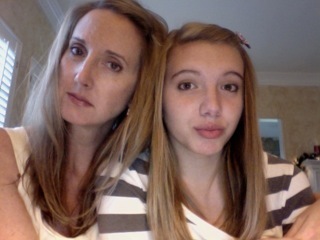 Cari Surch is a writer and the momager of young actress Kennedy. 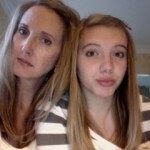 When she began writing for HMB she was a Momager of her older daughter and a Texan. She is now in the Carolinas and helping her youngest daughter achieve stardom. You can follow her audition adventures here on HMB’s “Momagers in the Trenches” column. Nyna Lyle is a contributing writer and photographer for HMB. She is also the Hollywood Mom of young actress Emma Rayne Lyle (Mr. Mercedes). Emma is one of Young Hollywood’s hottest up & comers. Nyna recently moved to the LA market with her husband and three children from the east coast. When she isn’t driving up and down the 405, Nyna enjoys watching movies, hanging out with her family and helping Emma with auditions. Michele Dahl, is the HMB Product Reviewer and also contributes to our “Moms in the Trenches” column. She is the mother of pint-sized models Shelby and Cash Dahl. It’s no surprise that someone who can pull off a smoking-hot bikini shoot while pregnant (photo left) would pass those picture-perfect genes on to her kids. Between casting calls and diaper changes, she reviews products and services fit for Hollywood Moms. 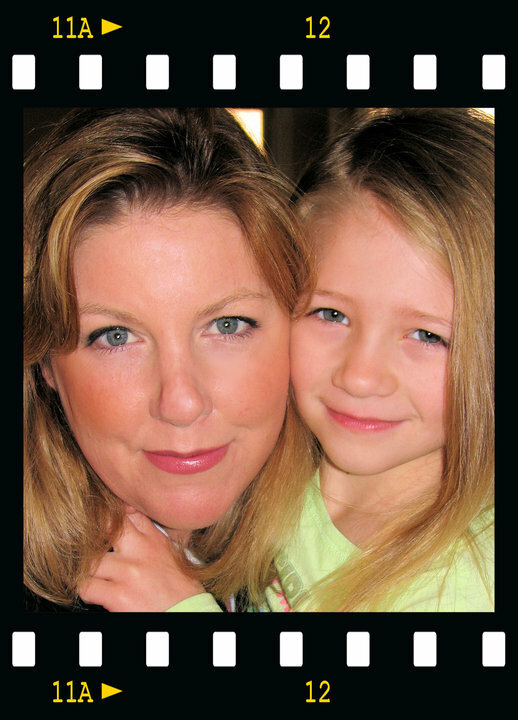 Suzette Troche Stapp is Hollywood Mom to two successful child stars, Merit (Alexa& Katie) and Marlowe (Fresh Off The Boat), a talented professional photographer and manages to find time to contribute photos and event coverage at Hollywood Mom Blog. In a word, she’s AWESOME. Valerie Sullivan is Hollywood Mom of actor Cody Sullivan (Sharp Objects). Valerie is a valuable contributor to HMB and sage voice of reason in all matters “Professional Child Actor” and serves as Admin for HMB’s Facebook groups. We are so grateful to have her. After retiring from the Air Force in 2004, Valerie received her Real Estate Broker’s license and opened her own brokerage. That business is currently on hold while she manages her son’s blossoming acting career full-time. Valerie’s husband and their fur baby reside in Florida, while she and Cody travel to California for work. Hollywood Mom Blog is ecstatic to welcome our newest contributor, Celebrity Stylist Ali Levine. Ali wears the hats Film & TV Costume Designer, Wardrobe Stylist, Trendsetter, and Fashion Expert To The Stars! 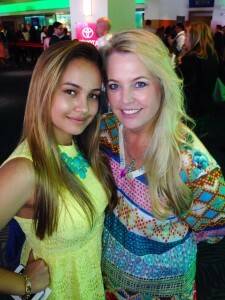 She lends her fashion expertise to Hollywood Moms so we can keep our kids looking sharp on the red carpet and beyond. She encourages our HMs and Child Stars to tweet her fashion questions via #AskAli!